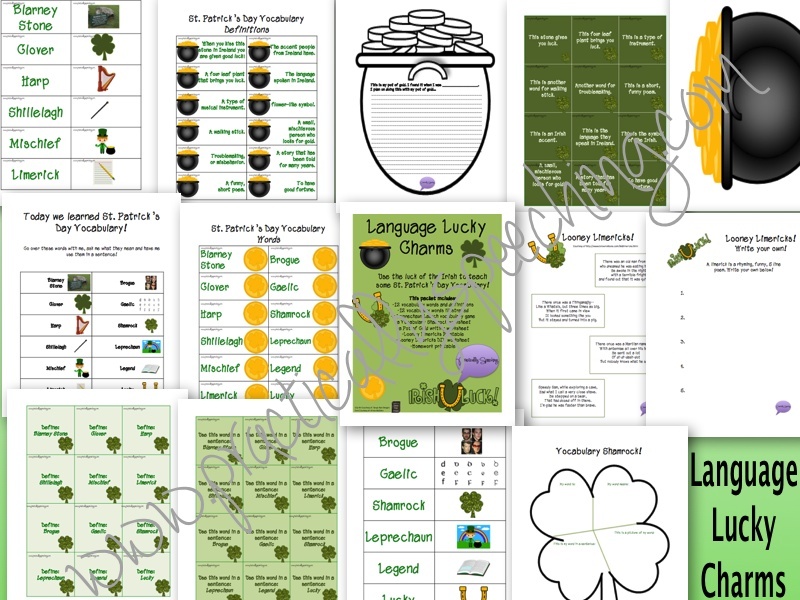 Language Lucky Charms - St. Patrick's Day Vocabulary Packet! Everyone wants the luck of the Irish, right? It seems so glamorous! Walking with your shillelagh towards the blarney stone, waving to a leprechaun and picking up a shamrock! 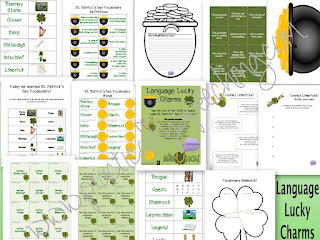 If I set the picture for you, yet you're quite positive your students are unfamiliar with the vocabulary words in bold (which, lets face it, not many people know what those mean unless you've googled 'st patricks day vocabulary' or are an awesome SLP, or you're Irish...LOL) then this packet is going to rock your Irish/non-Irish socks off! Plus, your kids are going to have a BLAST playing "Leprechaun Launch" where you "flick"/launch mini leprechauns into a pot of gold after answering vocabulary questions!